A Collection of Larger Studio Pieces. In working my larger pieces, I borrow techniques from the old masters, the impressionists and contemporary artists. I spend a good deal of time on the preparations and intent for each piece. The execution is carried out in a mindful way, with easy music surrounding me. Please contact me to purchase any of these larger pieces. A Collection of Small Art Pieces. This section will give you a sample of pieces that I offer for sale on the Etsy online shopping site. 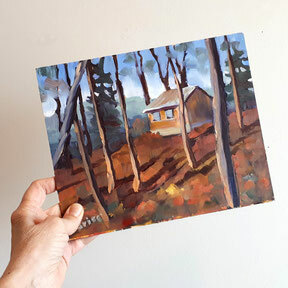 Many of the pieces were done en plein air, in a quick and fresh approach that I would call contemporary impressionism. If you like what you see on this site, I invite you to visit DebGriseArt on Etsy. A Collection of Other Artsy Things. Welcome to my little art sideline. I can now adapt my artwork for printing on surfaces such as fabric, wallpaper and gift wrap. 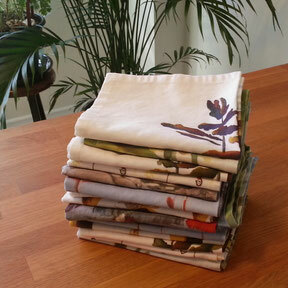 It helps that I like to sew, so I have created a line of products that feature my artwork. Here is a sample collection those other things.